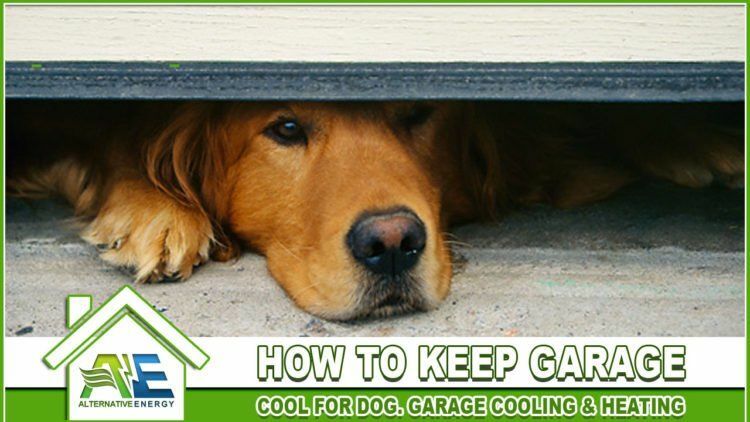 If you are searching the phrase “how to keep garage cool for dog”, this post should help! Furthermore we offer services to keep your garage cool no matter what the purpose is! In either case, there are the recommended methods of keeping a garage cool for a dog. The best way to keep a garage cool for your dog is to install garage insulation, garage door insulation and a garage mini split ac unit. Not only will our SRX insulation keep your garage cool in the summer but its also helps regulate the temperature for keeping your dog in the garage during the winter. The temperature will be more stable even without a heater or air conditioning. However, most garage mini split units also have heating options as well. Without installing insulation or a mini split system, your garage is going to get really hot, especially if your live in hot states like Arizona, Florida or Texas. Garage radiant barrier blocks radiant heat from penetrating the roof of your garage (the main source of garage heat). We use SRX garage radiant barrier foil to block out 98% of radiant heat. You can purchase a similar kind of radiant barrier material but no radiant barrier system works as good as our SRX garage insulation. Garage door insulation is the most important component for cooling a garage and is one of the main reasons why your garage gets hot. We use SRX insulation to fully insulate your garage door from the heat as well. SRX is the best insulation for garage doors and will fill in any tiny holes or gaps where hot air can make it though. This ensures that your dog will have a more comfortable garage environment. Garage air conditioning is needed for homeowners who want to keep their garage cooler for their dogs but for those who want complete control over the temperature inside the garage space. 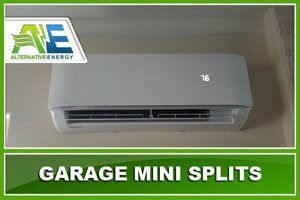 Garage mini splits are perfect for cooling down garages fast. The garage attic fan pushed all of the hot air out of your attic. 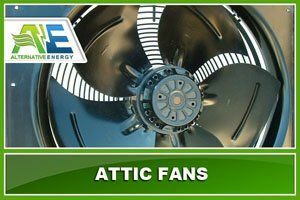 We use high powered German attic fans to keep the heat out of your garage’s attic. This keeps the air circulating frequently and keeps your garage at a cooler temperature. Read the less effective methods of keeping a garage cool for a dog below. These less effective methods of keeping a garage cool can work, but will only keep your garage slightly cooler. Furthermore, nothing is more effective at cooling a garage as installing garage insulation, garage door insulation and a garage mini split ac unit. Alternative Energy, LLC Can Offers Garage Cooling Services! 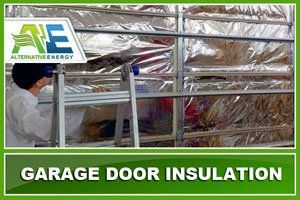 We can help with garage insulation, garage door insulation and garage mini split system installation in Arizona, Florida & Texas. These are the 3 most effective methods of keep a garage cool for your dog. We offer free garage energy audits to the entire Phoenix Metropolitan Area including: Phoenix, Mesa, Tempe, Gilbert, Chandler, Surprise, Peoria, Glendale, Scottsdale and more. Also serving San Antonio, Texas.